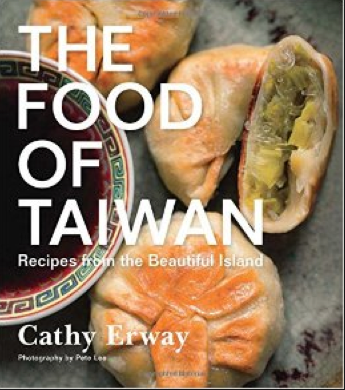 I got very inspired late last night reading a beautiful cookbook “The Food of Taiwan” by Cathy Erway. 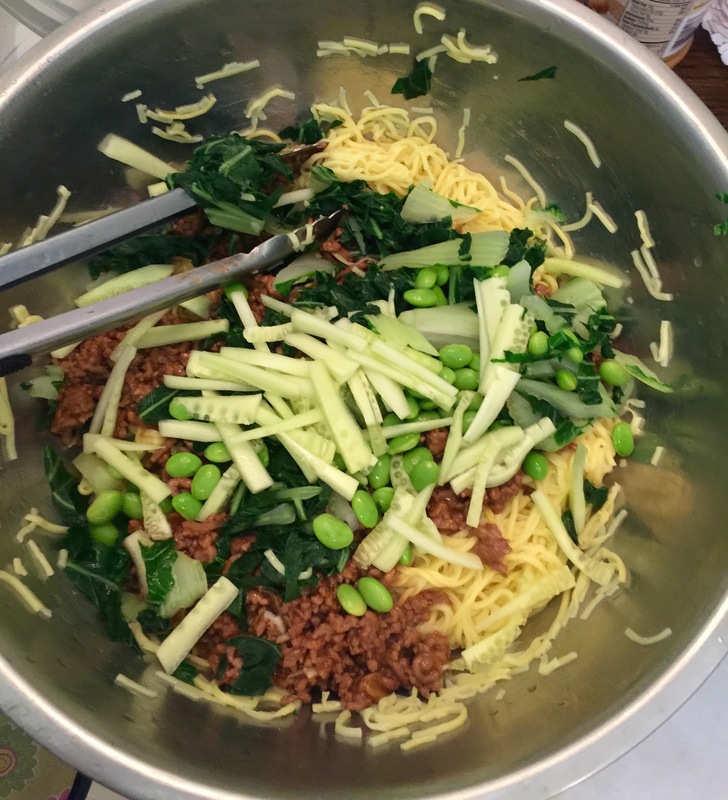 Since it was late and I probably shouldn’t have been eating OR cooking, I picked a pretty quick recipe, Noodles with Minced Pork and Fermented Bean Sauce. Most of the ingredients are common pantry items and things you would find in the refrigerator. I made a few intentional and some unintentional substitutions, which I’ll list below. Took about 45 minutes including prep and cooking. Makes about 4 servings. Heat the tablespoon of oil in your wok over medium heat and add the pork fat. Sprinkle with salt and sir-fry for about 1 minute. 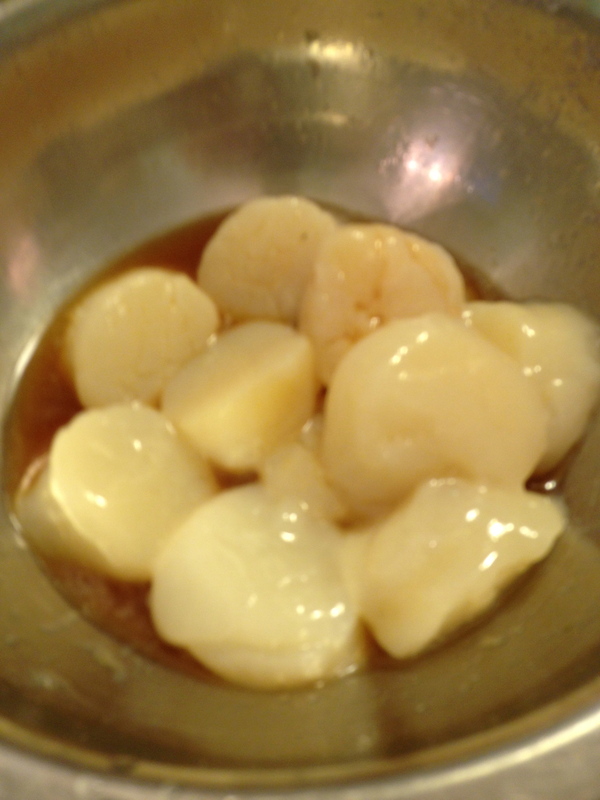 Then add the shallots, garlic and sugar and incorporate together. Stir in the sweet bean sauce. Separately stir together the cornstarch and water. 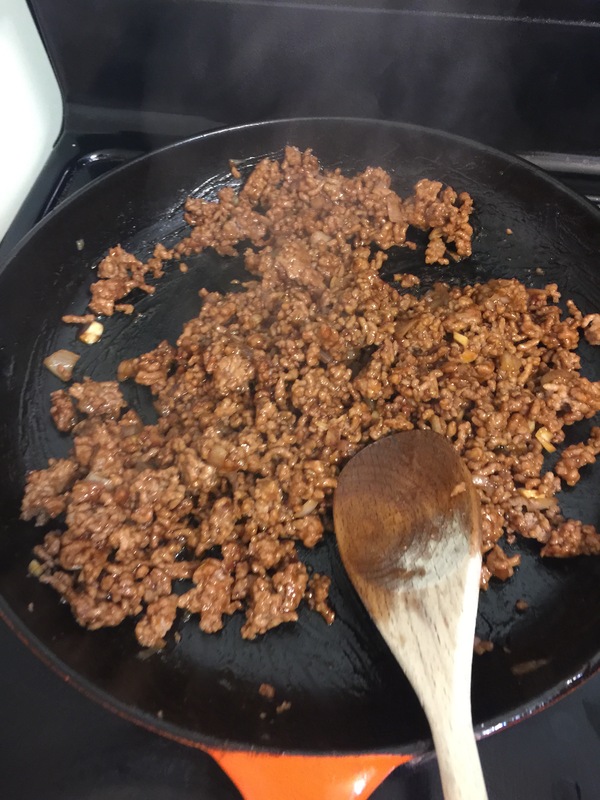 Once the pork mixture is bubbling, add the cornstarch mixture, stirring until it thickens, ~10 seconds. Taste and season accordingly, soy sauce optional. Cook the noodles according to the package directions. Drain and rinse under cold water until cool. 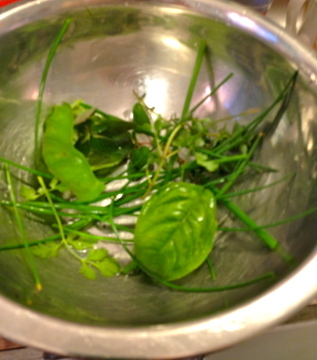 Next bring a pot of lightly salted water to a boil, and also prepare a bowl of ice water and keep to the side. Drop the edamame in and cook for 3-4 minutes, remove with a slotted spoon and set aside. Drop the bok choy or cabbage into the boiling water for up to a minute. Remove and transfer to the ice bath to cool. When greens are cooled, shred them. 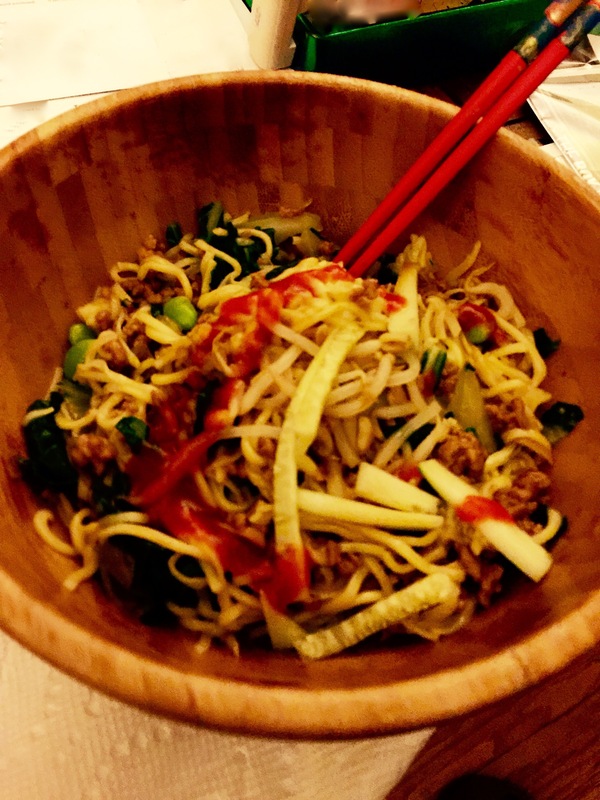 Arrange your noodles in a large serving bowl. Drizzle the vinegar around. Ladle the pork sauce on top of the noodles. Then add all of the veggies to the top of the sauce. Toss everything together and serve. According to Ms. Erway, the dish is supposed to be lukewarm. The dish was extremely tasty, and was a nice mix of protein, fat and carbs. 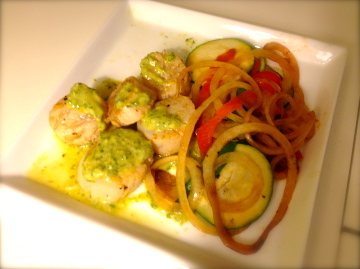 Good dose of vegetables and the is not the star of the dish, but rather plays a supporting role. Definitely left me feeling satisfied. My only comment is that I like my food with a lot more heat, so I added a good dose of sriracha sauce just before serving. I have to admit, I am not a huge carrot fan. I like them well enough, but, I don’t go out of my way to eat them regularly (I know deep in my soul this is probably a holdover from a long ago experiment with the Atkins diet, for shame!) They are a staple in my house though as a raw snack, usually with hummus and every so often they will be the steamed veggie of the night. I don’t know about you, but, this long winter has been causing me some serious vegetable burnout, so I finally caved in and bought some of those colorful carrots I keep seeing in the food store. I know those colors provide some serious antioxidant powerhouse nutrition. I didn’t realize how gorgeous they would be as part of a meal! When I threw them in with a few other vegetables, I honestly felt like I was looking at a fruit salad. The only thing missing was a watermelon basket. 2- Chop all vegetables while oven is heating up. 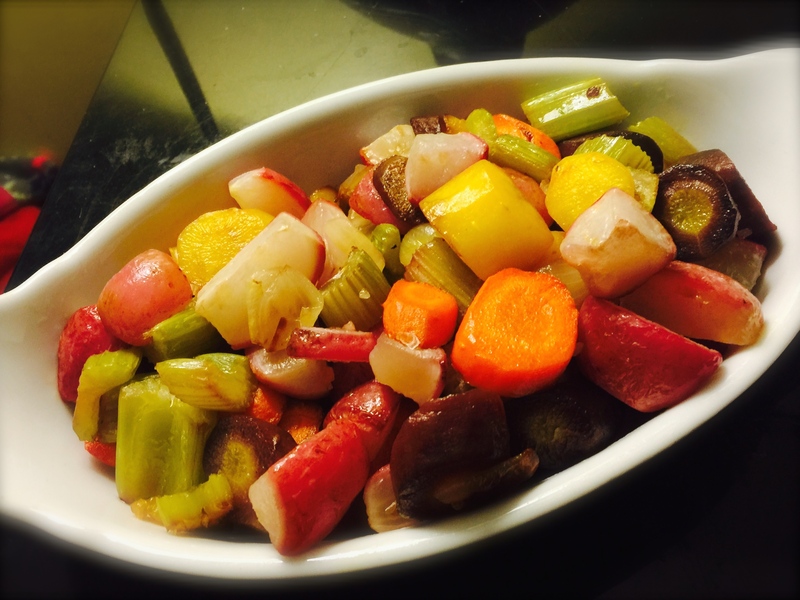 5- Roast vegetables ~20-30 minutes, or until fork tender. 6- Sprinkle with salt and pepper. I like to use the Pink Himalayan salt for the big crystals and a little crunch. This whole dish clocks in at less than 200 calories and a very respectable 9 grams of fiber! Not to mention over 250% of your RDA for Vitamin A. Your night vision will thank you. I talk a lot on my blog about drinking coffee, and I have to admit I do like to dunk things in my coffee every now and again. Sometimes, when I am in Starbucks I am so tempted to buy those biscotti they have at the counter wrapped in plastic, to dunk in my coffee of course. I don’t buy them though because I know biscotti are relatively easy to make, and when you make them yourself, you can make them as low fat and/or low calorie as you like. 2. Weigh or lightly spoon flour into dry measuring cups; level with a knife. Combine flour and next 7 ingredients (through salt) in a medium bowl, stirring with a whisk. Combine vanilla, zest, eggs, and egg white in a large bowl, stirring with a whisk. 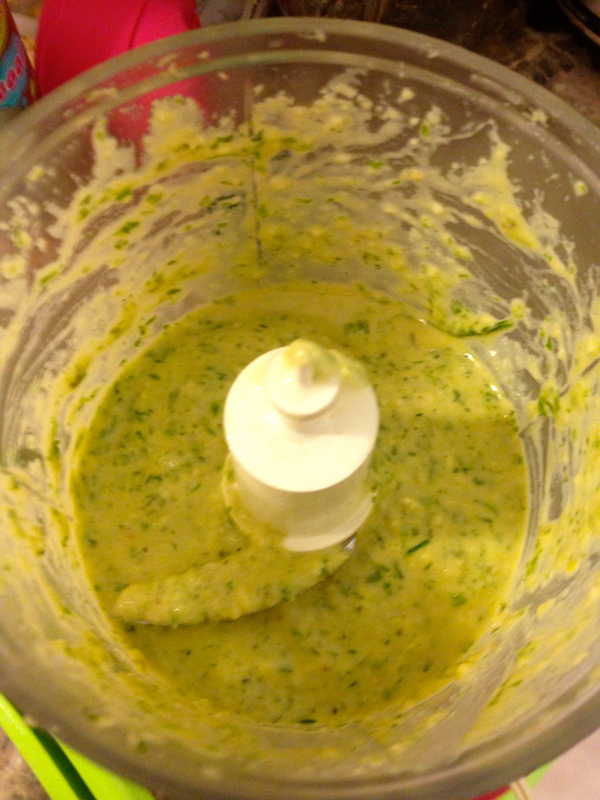 Add flour mixture to egg mixture; stir until well blended. If dough is too dry, add two tablespoons of skim milk and/or canola oil. Divide dough in half. Turn dough out onto a baking sheet coated with cooking spray. With floured hands, shape each dough half into a 12-inch-long roll; pat to 1/2-inch thickness. 3. Bake at 350° for 22 minutes. Remove rolls from baking sheet; cool 10 minutes on a wire rack. Cut each roll diagonally into 18 (1/2-inch) slices. Carefully stand slices upright on baking sheet. Bake biscotti an additional 15 minutes or until almost firm (biscotti will be slightly soft in center but will harden as they cool). Remove biscotti from baking sheet; cool completely on wire rack. Use parchment paper to line the baking sheet, it will prevent the biscotti from burning and it keeps the pan clean. While my changes did not change the original nutrition information too dramatically, I prefer to use less sugar whenever possible. And in this case, I was able to add some antioxidants to the mix, as well as some additional mono- and polyunsaturated fatty acids. To cut even more calories you could use a sugar substitute, and use egg whites instead of the whole eggs. When I make these again, I will probably add some nuts as well because I like a little crunch in my biscotti.